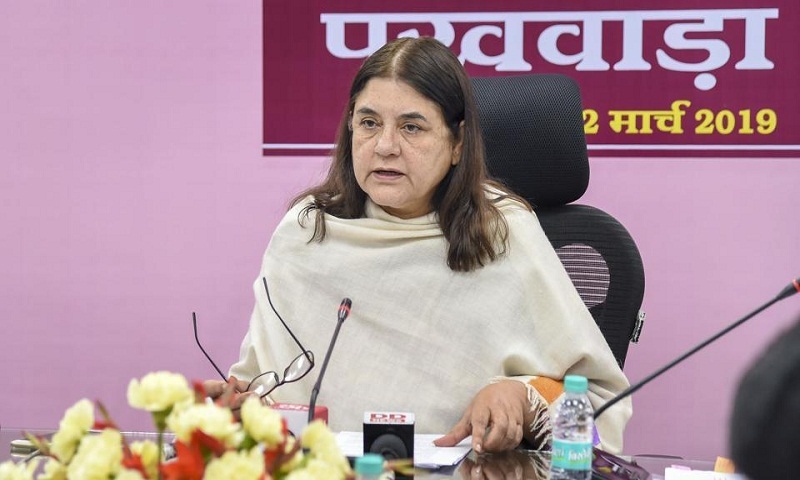 Union minister Maneka Gandhi, the Bharatiya Janata Party (BJP) candidate for the Sultanpur, found herself in a controversy on Friday over what was seen as a veiled threat to Muslim voters. At an election rally in Muslim-dominated Turab Khani village, Gandhi said Muslims would not get jobs if they didn’t vote for her. She also said she wouldn’t like to win the election without the support of Muslim voters, which her son Varun Gandhi represented in the 16th Lok Sabha. A clip of her speech went viral on social media, and opposition parties slammed her for what they saw as a “communal” speech, reports Hindustan Times. Gandhi said Muslim voters need to understand it was a give-and-take relationship. “We are not progeny of Mahatma Gandhi. It’s not that we keep giving and then losing in the election. “When an election comes and this booth throws up 100 votes or 50 votes, and then you come to me for work…we will have to see the polling. You all are all my well-wishers and remain my supporters. I do not see any divide, who belongs to which community. I see only pain, sadness and love. So it is for you to decide,” she said. Sultanpur is one of the 80 Lok Sabha seats in Uttar Pradesh. Gandhi swapped her Pilibhit seat with Varun’s Sultanpur. Sultanpur will go to polls in May 12.